The world has been using paper forms since ages. Automation and digitalization have changed quite a few things – in not only business organizations but also common man’s life. One of the major breakthroughs and shifts that have occurred in data collection and management, fueled by computerization, is the replacement of paper forms by their electronic counterparts. The paper forms that have been in use since time unknown have given way to the reliable and accurate online forms; this has been made possible by the innovative Online Form Builder software. Why is Shifting to Electronic Forms Considered Crucial? One major contributor to enhance safety and quality of workplace in any industry while eliminating the need for keeping track of endless paper forms and audits is a paperless environment. Taking the administrative burden off and reducing the resource requirements, online form builder enables organizations to focus better on the quality of information. By adopting online forms, businesses and individuals get real-time updates using any mobile device of their preference. The huge amount of deforestation caused by a massive paper production year over year may be controlled; loss of documents that cause great trouble to users can be eliminated, when paper-based forms are done away with. Accuracy level of data is increased, expenses are brought under control. Facilitating the individual or organization who posts the form and multiple intended users to connect seamlessly, online forms can be viewed by all users, they allow effortless conversation between users and the organization. What Makes the Lost Paper Online Form Builder Unique? The Lost Paper platform is agile and unique, enabling users from varied fields and different industries to build and distribute electronic forms as well as checklists effortlessly according to their specific requirements. 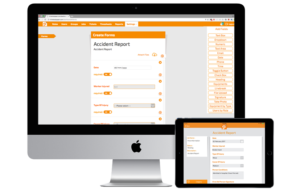 Forms and checklists for any given situation can be created in a jiffy, by using this state-of-the-art online form builder. 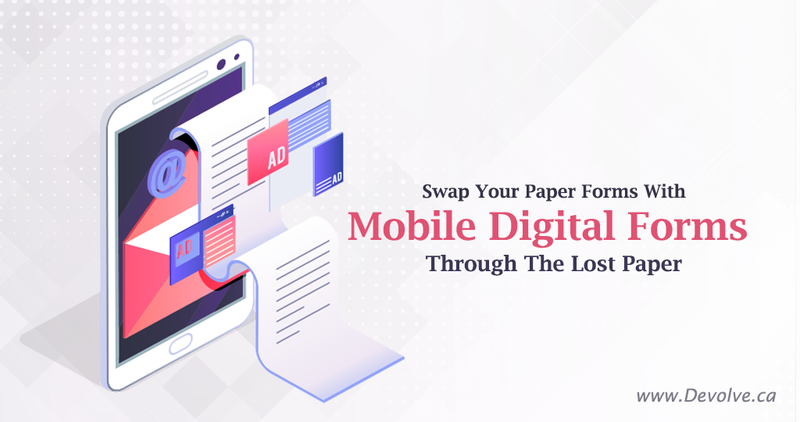 This simple and effective web and mobile application helps businesses to transform the otherwise tedious paper-based process into cool and convenient digitized version. 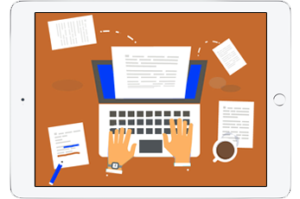 The dream of every industry to do away with paper has been realized by this online form builder app in an unbelievably simple manner. Regardless of which industry you belong to, the Lost Paper ensures that you are never required to prepare, provide, and fill forms in paper mode. The process of manually transferring information into a database and the task of chasing people to get data submitted in paperwork are now a thing of the past, thanks to the ability of this modern app to design forms for business. Paper forms are expensive: With increase in paper cost and environmental issues, mobile forms are the right solution to reduce costs and environmental impacts. Easy sharing and convenience of use: Cumbersome process of paper-based forms is eliminated by the modern mobile form. 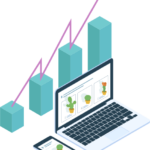 Speed and Easy access: Business analysts are empowered to make qualified and timely decisions when they make use of mobile forms that provide data immediately and accurately. Forms prove to be crucial: It has been proven that forms play a constant, critical role in several stages of business processes – loss of data or the need for sifting through huge volume of data are eliminated by using the moving forms, namely, digital ones. Online forms eliminate error: Human errors are almost eliminated, data quality is better, and clarity is enhanced. Admin time is reduced: Time spent is reduced, so is the effort of re-keying. By moving from paper forms to electronic ones, your business ensures that admin time is greatly reduced. Online form builder enables instant tracking of submissions and completeness of forms. It aids generating notifications on any user-based input criteria that need feedback. It facilitates instant accessibility on the Internet by using any digital device! Factors That Will Affect Your App Development Costs.